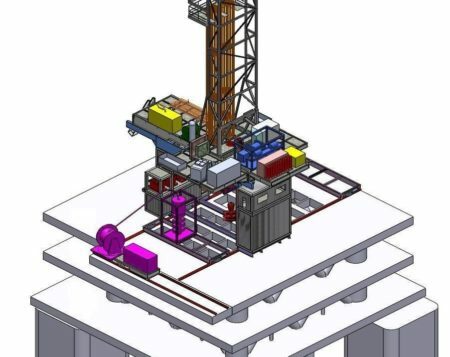 This DES has been developed simultaneously with the STAD (Semisubmersible Tender Assisted Drilling) for the Moho-Nord Project, including the drilling of 24 wells to 8500m extended reach, in 800 m of water from a TLP (Tensioned Leg Platform). Drilling and coiled tubing operations can be performed simultaneously. Overhead clearance above BOP floor allows transfer of coiled tubing injector head.